When I first meet with a client, I have them complete a thorough intake form that helps me learn what their medical status is. Many clients report they struggle from IBS or Irritable Bowel Syndrome. Sadly, it a very common and unpleasant condition with an equally unpleasant name. Happily, it’s a condition that responds well to reflexology. IBS causes one to experience one or more of these symptoms: diarrhoea, gas, constipation, stomach or abdominal cramps, bloating. IBS symptoms vary and their severity can vary too. The tricky thing is that IBS can take a long time to accurate diagnose. In the interim, you’re tasked to keep track of what you’re eating, when you’re eating, and which foods give discomfort. Other than constantly changing your diet, you often need to take medication so you can ‘go” or others to “prevent you from going.” What a nightmare! 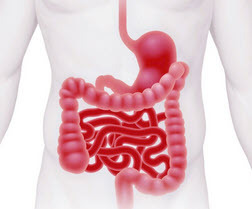 If you are already struggling with digestive issues, it can be hard on your system to ingest remedies into an already inflamed and irritated digestive track. While our intentions may be good, our impatience can result in doing more harm to ourselves. IBS can be relieved through natural alternatives that help ease the pain and overall unpleasantness. Reducing stress is a key step. That’s where reflexology comes in. Reflexology is a great non-invasive treatment that should be tried to receive significant improvement. There are no negative effects to those with IBS who seek out reflexology. Since reflexology supports an overall balance in mental, emotional, and physical health the “side-effects” of this alternative treatment is very attractive. Properly trained Reflexology Therapists, like me, treat the body holistically. Meaning, not only is the digestive system worked, but also the reflexes governing the nerve supply to the digestive organs, and reflexes associated with the stress response, plus the adrenal glands. Treating the underlying causes for IBS is the aim of reflexology. Reflexology is intensely relaxing, so it sometimes takes a few treatments to see the symptoms improve. If you’re leading a very stressful lifestyle, it’s recommended to schedule monthly treatments to help prevent IBS symptoms from developing again.